Reach millions of new customers on the right marketplace. Successful marketplace management starts here. 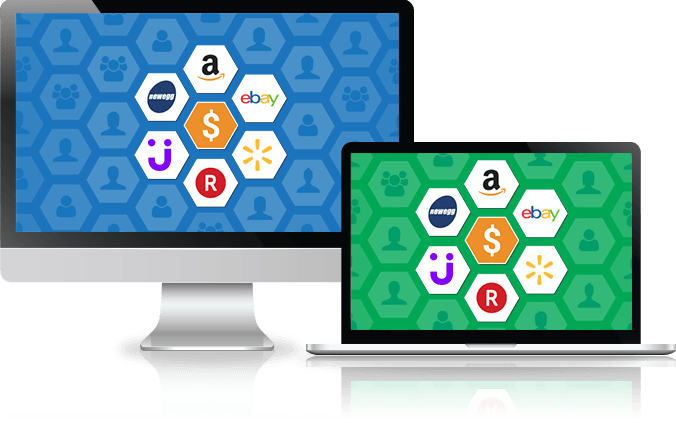 Access millions of new shoppers on marketplaces like Amazon, Walmart, eBay, and Jet is possible when your marketplace is managed by an experienced team. Whether your own a website, sell a specific brand, or manufacture goods, our marketplace management team helps our clients get their products the best placement and exposure on the appropriate marketplaces. Marketplace success starts with optimized product data, streamlined paid search campaigns, and a properly managed account. That’s why we’re committed to providing our clients with the highest level of management and best experience possible. We have knowledge, software, and processes in place to successfully manage marketplace accounts for growth and profitability. See our complete list of marketplaces we support. We handle the entire process. Our team of marketplace mangers understand that each marketplace has its own set of challenges and complexities. And we know how daunting a task it can be for sellers to set up product data and manage the entire process. Our comprehensive marketplace management services take that burden off your hands so you can worry about other aspects of your business. Expanding your reach and scaling your business on any marketplace is possible when you’re properly integrated with the marketplaces. At OperationROI we use various strategies to optimize products, increase visibility and help you connect with new customers. Reach more consumers across a variety of marketplaces. 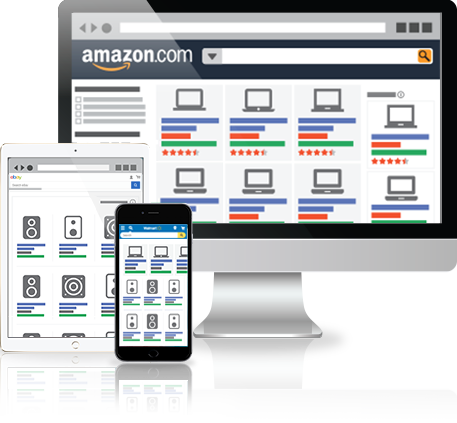 Reach new customers on marketplaces like Amazon, Walmart or eBay. Our marketing experts help clients see increased exposure, conversions, and profitability. Whether optimizing product titles, bullet points, or descriptions, our expert team understand how to increase product views in search results. Promote products leveraging paid search options on various marketplaces to boost appearance within search results and competitor product pages. Enhance your product pages with carefully designed content and imagery to showcases details of your product, as well as further promote your brand. Managing large numbers of products is tedious, which is why our feed management team understands the importance of building an optimized and automated product feed. Maintaining and protecting brand content is critical on any marketplace. We understand the importance and work with brands to make sure content always shows accurately. We leverage 3rd party software like FeedbackFive to develop campaigns that increase seller rating and product reviews by soliciting feedback. Expose your products to broader audiences by offering promotions, coupons, or special marketplaces opportunities such as a Buy One Get One offer. Satisfied consumers and positive marketplace ratings help drive more traffic. We help identify ways to improve overall marketplace management.